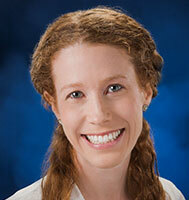 In Madison, Allison Hotujec, MD, is organizing a diabetes health fair at the UW Health Odana Atrium clinic. 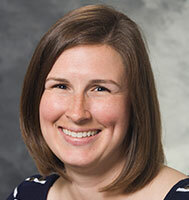 In Wausau, resident Caitlin Harris, DO, is identifying community resources to help high-need patients in Wausau. In Verona, resident Erin Peck, MD, is empowering adolescent girls in Verona to manage their health; while resident Allison Couture, DO, is teaching children and families there to cook healthy meals together. These projects are the first in the UW Department of Family Medicine and Community Health’s (DFMCH) new community health micro grant program. The program, housed at the DFMCH’s Office of Community Health, supports faculty, learners and staff initiatives to improve the health of the communities they serve. Congratulations to the awardees! Learn more about each project below. To educate people about diabetes in a fun, interactive way, Dr. Hotujec is organizing a diabetes health fair at the UW Health Odana Atrium Clinic, to be held in April 2017. She and clinic staff will teach participants about the disease, nutrition, exercise and associated health risks. She intends to advertise the event in the community to attract not only patients, but friends and families who support them, as well as people who might not come in for regular clinic visits. Dr. Hotujec also plans to approach local grocers and health clubs about offering discounts for fair participants. Through those business partnerships, she hopes to make it easier for patients to make healthy lifestyle changes, and start to address some of the upstream factors that influence diabetes control in the community. Dr. Harris is fostering a community medicine approach for patients in Wausau who are health care “superutilizers”: who have frequent visits to the hospital, the emergency department, and/or the behavioral health crisis center. First, she will hold community meetings and surveys to learn more about the needs of that population. 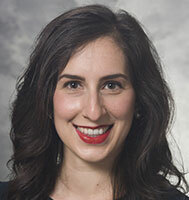 She then aims to create an interdisciplinary community medicine care management team that is sensitive to their needs, empowered to advocate for them, and able to effectively connect them with community health and social resources. Current project partners include Northcentral Behavioral Health Center, the Aspirus Wausau family medicine residency clinic, Bridge Community Health Center, and Aspirus Wausau Hospital. Through this project, Dr. Harris ultimately seeks to reduce health care overutilization by establishing authentic healing relationships with patients in Wausau who have the highest needs. Dr. Peck is holding a series of lunchtime group visits aimed at empowering adolescent girls in the Verona community. Using portions of a curriculum from a non-profit organization called One Circle, she will cover topics such as safe use of social media, healthy body image, mental health and healthy choices around substance use. 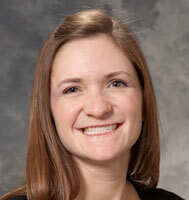 She will partner with guidance counselors at Verona High School to help select participants. Her goal is to support and educate female adolescents—who are more likely than their male counterparts to have anxiety and mood disorders—so they may better address and maintain their physical, mental, and emotional health as they grow into adults. Dr. Couture is establishing a bimonthly cooking club for children and their families at the Badger Prairie Needs Network (BPNN) in Verona. The club will use the ChopChopKids platform and curriculum to teach children and families about healthy eating habits and foster interest in cooking together. It will also include components of STEM education (for example, math problems using measuring), physical activity and family relationships. Through this project, Dr. Couture aims to cultivate positive experiences around cooking and eating healthy foods for families of all socioeconomic levels. She also intends to contact organizations that work with ChopChop to solicit donations of kitchen tools, which will help families continue to cook together in their homes. The DFMCH community health micro grant program accepts applications each quarter. For more information about the program, or to apply for a grant, visit https://inside.fammed.wisc.edu/administration/och/micro-grant-program or contact Ann Schensky.